USB Drives have been popularized for their ease of use and portability. 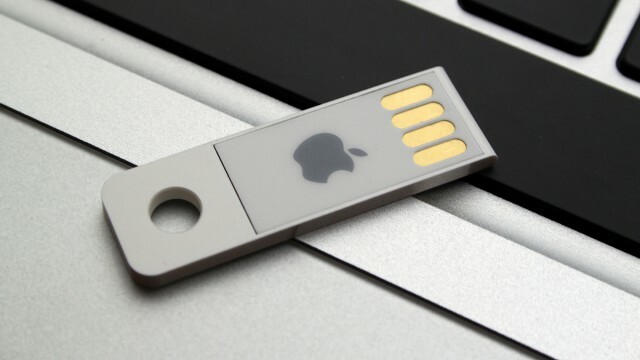 While most people find themselves using them for simple tasks like storage, backup or data transfer between computers, few realize the full potential of flash drives. This series will cover the ways to unlock that potential and find new uses you may not have realized were possible. From ultra-secure banking to entirely self-contained operating systems, flash drives can do so much more than just hold your photos. These uses all have one common function between them: bootability. A bootable flash drive will allow you to boot the computer from the file system on the flash drive rather than your hard drive. Your computer has a boot sector on the hard drive that contains information about the its use. The volume boot record will contain instructions on how to execute an operating system or other program. In order for us to boot to a flash drive, it must have a master boot record, volume boot record, and contain an operating system or a program that can be executed. This might sound like a daunting task but has been made easy in most cases by programs that help us create this. Some really great examples of bootable flash drives include running an operating system installer like Windows, OSX, or even some form of Linux. This is probably the most common use of a bootable USB drive. Not many years ago, this function was limited to CD’s and DVD’s, but as flash memory technology improved, it became possible to place these operating system installers entirely on your USB drive. If your computer becomes unusable from a corrupted or compromised operating system, or if your computer is a brand new build, you could use a bootable flash drive to install the operating system. After the files have been copied to your computer you restart and use it as normal. Sometimes, when an operating system like Windows or OSX becomes compromised, you could use the bootable install USB to rebuild just the missing or broken components without doing a full system reinstall. The process of creating this OS installer varies somewhat from OS to OS, which we will cover later on in our series. Another very useful, though less often utilized bootable flash drive would be the utility drive. Hiren’s Boot CD and Ultimate Boot CD were both great examples of tools contained on a CD that could partition hard disks, diagnose problems, test hardware, and repair or replace software outside of the native operating system. Hiren’s and UBCD were then installed on a bootable flash drive, making these into extremely durable and portable repair tools in your toolkit. It also included virus scanning and data repair tools that were more thorough simply because they could sift through the information on your hard drive without executing any erroneous commands contained therein. If you have ever experienced malware, spyware or malicious code on your computer, you know that its primary goal is to hijack your computer and execute various commands through the operation system, usually without you or your computer any the wiser. In this case, the bootable utility drive could intervene and remove the malware without needing to execute any contained code on the infected disk. Both of these uses we have covered so far assume that your computer is in some state of disrepair. What if you simply wanted to test drive a new operating system without any permanent changes to your current setup on your computer? You could install a LiveCD version of one of the 305+ Linux distributions available today. Linux is a family of open-source operating systems designed to replace privately owned operating systems and intended to be publicly licensed and maintained. A Linux LiveCD on a flash drive will allow you to experience an operating system while still keeping your current setup. It's a great way to discover if a particular Linux distribution is a good choice for you or your organization. With all of the available flavors available, you could breathe new life into old hardware by installing a lightweight Linux build, gaining a fully functional OS with all of the tools you use now, yet not bogged down by the overcomplexity of a closed source OS. We have all had that computer we loved but didn’t want to let go of, yet found ourselves locked out of a stable, secure new update to our OS because of aging hardware. Linux fixes that, and you will find you might never go back to a proprietary system. Now that we understand a little about how Linux operates, we can find specialized builds of Linux that might meet your needs better than others. The table below lists some noteworthy examples of Linux. This is just to list a few. As you can see, the options are nearly limitless when choosing a new desktop operating system to run from a USB drive. I hope you will stop by on our next installment where I will guide you on how to create a Windows 10 bootable USB installer from both a Windows computer as well as Mac OSX. Until next time!